Valu Plus Pharmacy, Cavan, rebranded to Haven Pharmacy Cavan on Friday 8 April 2016. The pharmacy has been open since november 2008 and is owned by Kieran Brennan who is a pharmacist at Haven Pharmacy, Barna, Galway. 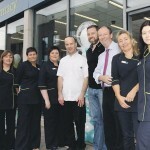 Kieran is also owner of pharmacies at Killybegs and Mullingar. A large crowd attended the official re-branding where an iPad Air, a weekend away, large hampers and a lots more prizes were raffled on the day. Northern Sound radio station brought their Outside Broadcast team to the pharmacy for two live shows on the day, helping all the team at Haven Pharmacy Cavan to celebrate the occasion with all of their loyal and regular customer. Along with Kieran Brennan, his wife Angela and their four children, there was also a guest appearance from former Tyrone footballer turned Sky Sports GAA correspondant Peter Canavan who officially cut the ribbon. 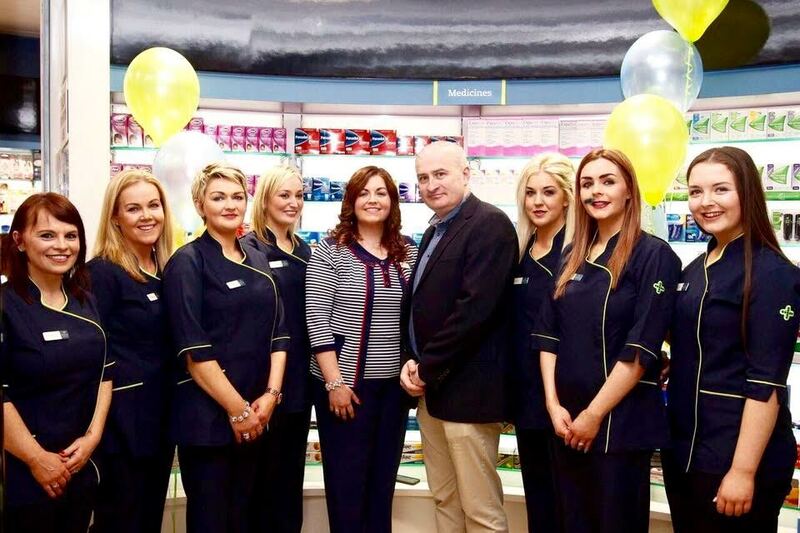 Pictured above are all the Haven Pharmacy Cavan staff, including Maria O’Reilly , supervising pharmacist, and Kieran Brennan, principal owner.